3 3/4" long. 40 per bag. Natural color. 900 pieces 3 3/4" x 7/10". 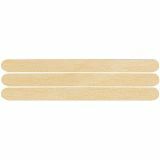 High quality, 3/8" x 4 1/2" wooden sticks with smooth edges for safety. Uniform size makes place-value bundling easy. 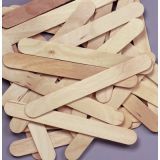 Super for beansticks and other numeration activities. 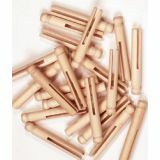 Wooden doll pins measure 3 3/4"L x 9/16"D. Non-toxic dyes. 30 pieces. 500 pieces 6" x 3/4" x 2mm. Natural sticks shown, sold seperate. Bright Hues only. 500 pieces 6" x 3/4" x 2mm. 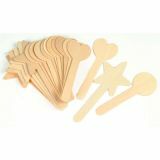 Natural wood craft sticks topped with image of a star, heart and circle. Ready to decorate. 36 pieces, 12 each. A craft basic! 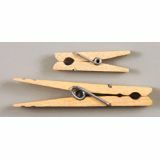 Wooden spring clothespins in your choice of colors and sizes. 250 pieces 1" length. 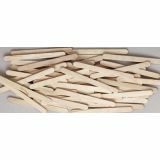 Natural wood craft sticks topped with image of a boy and a girl (18 boy, 18 girl) . Ready to decorate. 36 pieces, 8 each. 1,000 pieces 4 1/2" x 3/8".